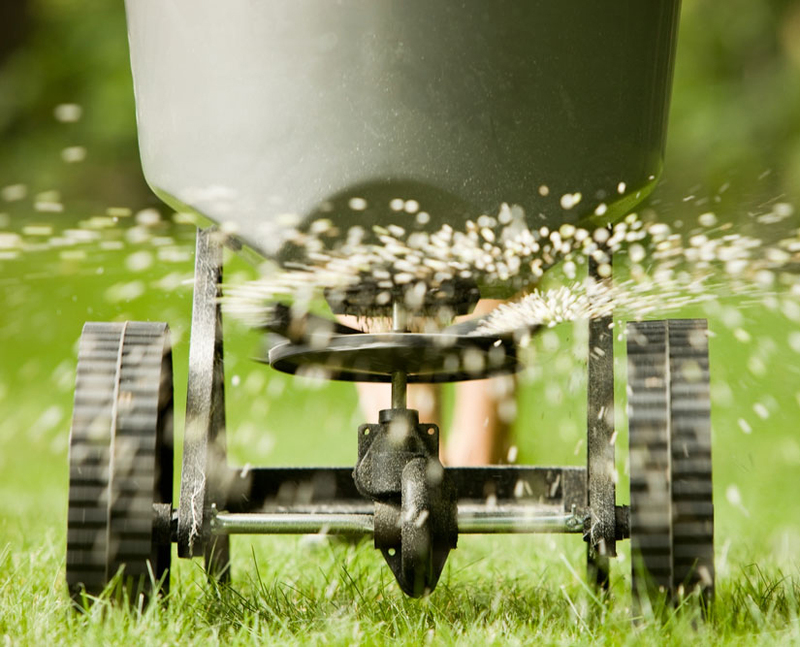 Before applying seed or sod, our crew will come out and rough grade the slopes and drainage as needed before the final grade is done for a nice smooth looking yard. We have an unlimited supply of sod available with many different combinations of Blue Grass, Fescue, and Buffalo Grass. 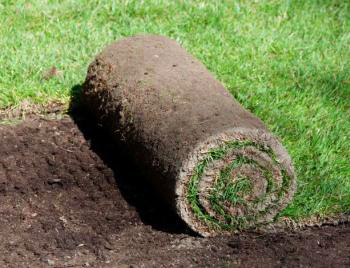 Our sod comes with an erosion control net on it to help hold the sod on slopes. This controls erosion during the process of the grass trying to adhere to the soil. We also include the application of starter fertilizer during our installation. There are various ways to apply the seed which include broadcasting, drill seeding, hydroseeding, no till and overseeding. We also offer different types of erosion control matting. At the time of installation we will apply a starter fertilizer along with a cover crop. In some methods we will be able to supply a herbicide for weed control. ARE YOU A HANDYMAN? OUR SODDING AND SEEDING ARE SOLD SEPERATELY FOR THOSE WEEKEND WARRIORS. CALL OR STOP BY TO ORDER NOW.